Lions are considered to be bold (Proverbs 28:1), brave, confident, dauntless, strong, calmly resolute in facing dangers, and invulnerable to fear or intimidation. The reason why is simple. They APPEAR to be so. Said to be the mightiest among beasts (Proverbs 30:30), lions can teach us a lesson or two on the importance of BODY LANGUAGE in leadership. People judge by outward appearance (1 Samuel 16:7 NLT) and your body language greatly impacts your communication effectiveness, whether consciously or not. Your body language can help or derail your efforts to influence people. The lion has a grand and regal presence, oozing power, strength and confidence, appearing to have total control over his body. Rabbi Daniel Lapin in his book Thou Shall Prosper (2008) describes the lion to be more economical in movement than any other large animal. Application: Avoid constant movement, only doing so as necessary. 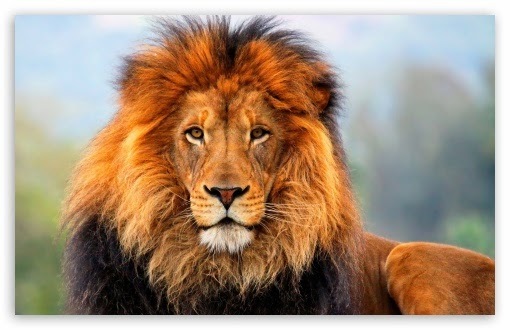 The lion’s mane – the hairy toppers, is not a shield for fighting but it proclaims a male's fighting ability and overall fitness. It also helps make the lion appear larger. In addition, lions are lean. They don’t carry fat. Application: Proper grooming, clothing and fitness are important in leadership. Lions are alert and prepared - but not muscle bound or aggressive. But when they roar, it strikes fear into some animals, making them freeze in terror. Lions have the loudest roar of any big cat – one that can be heard from a distance of 8 kilometers. Application: This one isn’t about body language anymore as much as it is about the internal message you tell yourself – your inner strength and the very source of your outward confidence. Like the lion’s growl, what you roar about is what’s going to influence people, piercing their hearts and transforming their lives in the process. It’s the most powerful message - one that you shouldn’t be ashamed of. This is where I base my confidence. How about you? Where do you get yours?